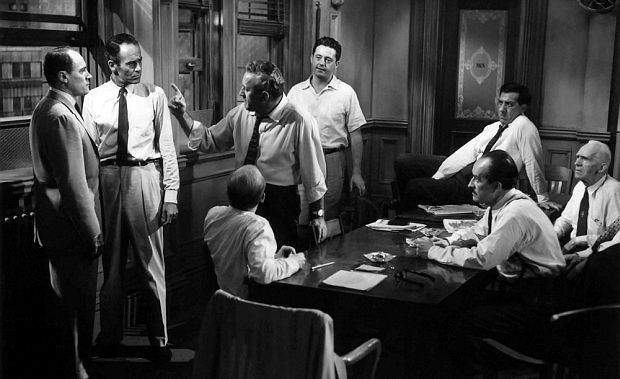 A scene from 12 Angry Men (1957), directed by Sidney Lumet. For a few years, I flogged the proposal to various publishers but many were worried that there were too many people from different backgrounds (e.g., Doris Kearns Goodwin sitting alongside Clive Barker). Another publisher curiously chose to reject it because, to them, it appeared to be a book about me promoting my interviews (as if I were trying to be a low-rent Larry King) rather than seeing it as a commentary on the decade through the eyes of the guests. All told, the book soon faded away and I turned to other projects. 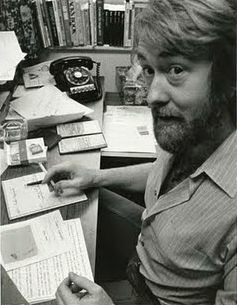 However, when recently uncovering the original proposal and sample interviews, I felt that maybe some of them could find a new life on Critics at Large. One area of the book concerned the legacy of the sixties. My thinking was (and still is) that it’s difficult taking into consideration the political landscape of the eighties without examining aspects of the sixties. Many ghosts from that period (i.e., Vietnam, the Cold War, civil rights) continued to linger as unresolved arguments that underscored political and cultural actions in the eighties. If cynicism became more the common coin twenty years after the idealism sparked by JFK’s 1960 inaugural address, the voices included in this chapter of Talking Out of Turn set out to uncover what the political lessons of the sixties were. This section included, among others, poet Allen Ginsberg, novelist Ann Beattie (Love Always, Chilly Scenes of Winter), and filmmaker Sidney Lumet. Director of movies such as 12 Angry Men (1957), The Pawnbroker (1964), Serpico (1973), Dog Day Afternoon (1975), and Network (1976), Sidney Lumet would make many political films in his career, but few of them in the eighties did very well. This includes Running on Empty, a movie that dealt with sixties-era fugitives from the law in the 1980s, that had just been released when I sat down with the director in 1988. In our conversation Lumet ruminates on the problems of making political movies – especially ones that confronted the 1960s – during the Reagan era. Sidney Lumet passed away in 2011 at the age of 86. Here is the full interview with Sidney Lumet as it aired on CJRT-FM in 1988.